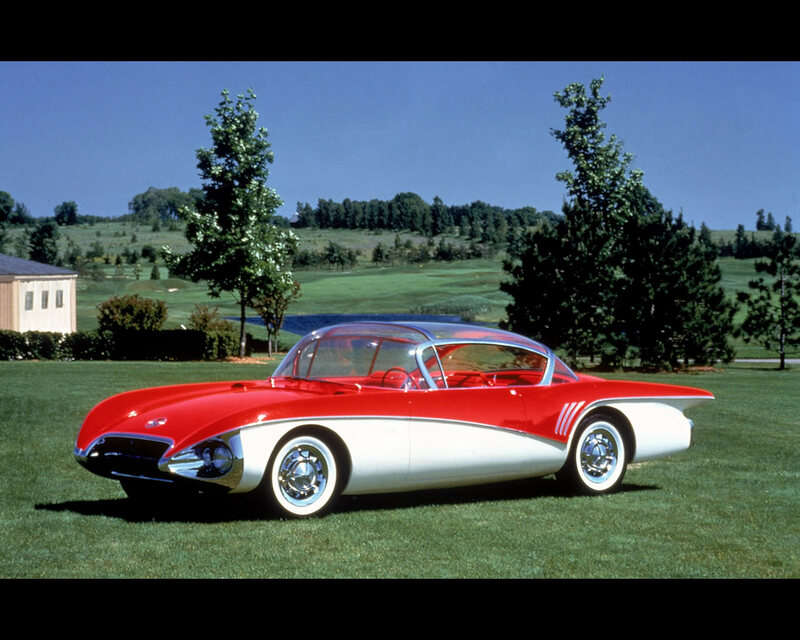 The 1956 Buick Centurion was first shown to the public at the 1956 General Motors Motorama Show. 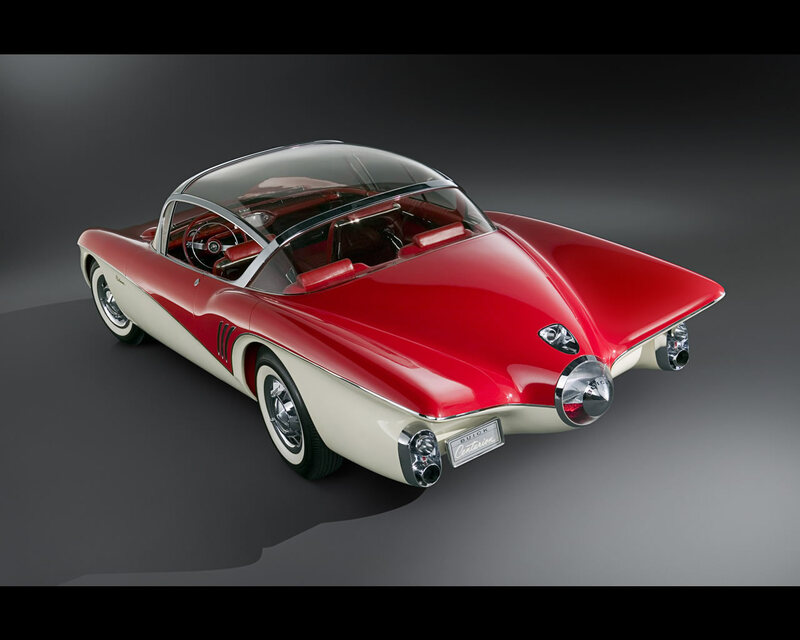 The Buick Centurion Concept was a two-door four-occupants coupe constructed of fibreglass composite with a red upper body, a brushed metallic finish on the lower portion of the body and an all glass “greenhouse” roof. It was powered by a 325 hp V8 engine. It featured “wing-type” back fenders, which previewed the styling of the 1959 Chevrolet and Buick. 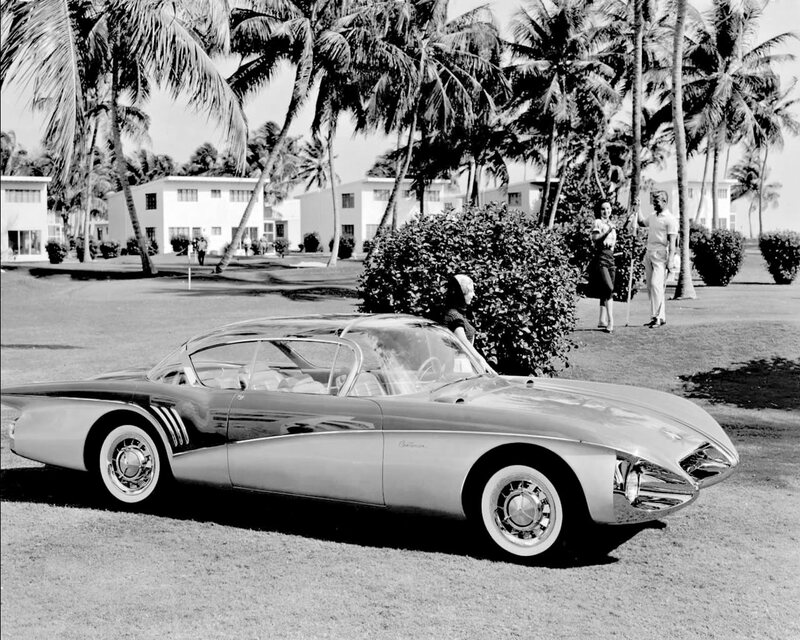 Also, the Buick Centurion Concept featured a television camera in the rear to show traffic to the driver via a television screen on the dashboard, replacing the rear view mirror. 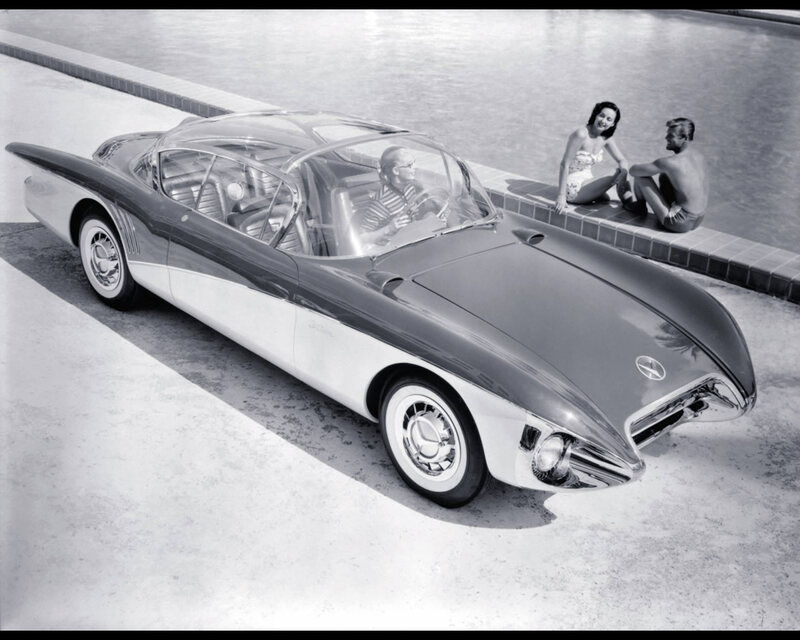 The front end of the Buick Centurion Concept was a revolutionary new design with the long hood sloping toward the front and the grille and headlights recessed well behind the bumper, which is an integral part of the body design. Twin air scoops near the sides and directly in front of the windshield provided fresh air for the interior of the passenger compartment. The interior of the Buick Centurion Concept was trimmed in luxurious red leather and fibreglass with appointments in brushed bright metal. The steering column was located in the center of the dash with a cantilever suspended steering wheel similar to the controls in an aeroplane.